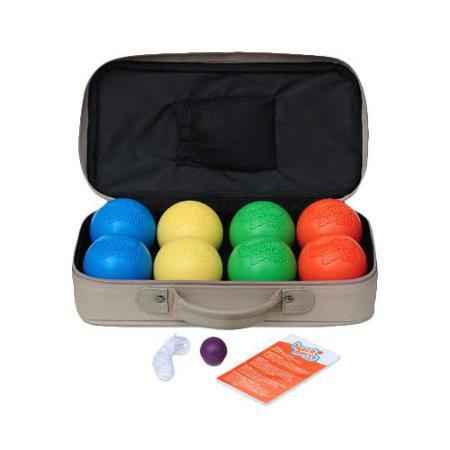 8 Balls in bright beach-ball colors, made of tough synthetic polymers and injection-molded. Durable and shock resistant – won’t crack, chip or rust. Balls are Petanque size (the French version of Bocce) – which is 74 mm or 3 in. in diameter. 1 Jack (target ball) made from the same impact-resistant material. © Copyright 2019. Beach and Games To Go All Rights Reserved.